On the lighter side, here are a few Santa Claus’ that ran amok in 2014. Surprisingly, it seems as if Santa got in trouble all over the world this year. He has been accused of stealing presents, defacing public property, among others. Santa-Con Crook . At “Santa Con,” an annual event in which hundreds of people dressed as Santa converge on San Francisco’s Union Square, a man dressed as santa is suspected of robbing a nearby bank in the Bay Area. The hunt is still underway for this naughty santa; police are still looking for the suspect. Santa shoot-em-up. Things might be going downhill in Detroit, where police say a man dressed as Santa was pulled out a gun and fired several shots after getting into a fight with another customer at a gas station. Two people were shot, a customer and a passenger in the customer’s car. Santa’s charges included multiple felonies, among them, attempted murder. My bet, he is getting a lump of coal and a long bid upstate. Santa gets sauced. A man dressed as St. Nick himself was arrested in Glasgow Scotland for climbing onto the famous Duke of Wellington statue. He was reportedly arrested and issued a fine after the incident. Reports also state that he was highly intoxicated, though he did not face charges relating to such. Mrs. Claus colludes in Caper. Santa and his female accomplice were both arrested in connection with a Jackson, Mississippi robbery of a convenience store. Santa House Closed Indefinitely. The annual Santa House in Elwood, Indiana, was shuttered after it came to light that one of the Santas working there was facing gun charges. Mark Gardner is accused of providing a handgun to his cousin, a convicted felon. 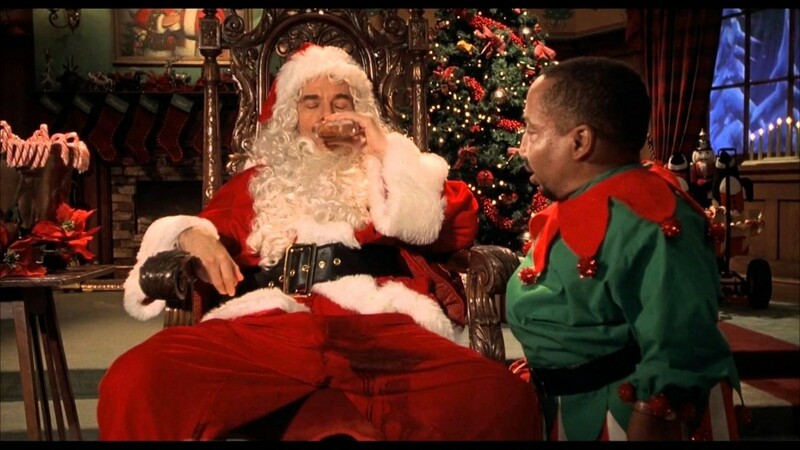 Gardner had disclosed his arrest before being hired by the city, and his lawyer told the paper there was no legal reason he could not have continued playing Santa. Sadly, a sign posted on the front door of the Santa House broke the news to children that Santa had gone to the North Pole and apparently wouldn’t be coming back. You need a tenacious lawyer that will put the state to their burden.